Visitors can learn about the history of gin in London and learn how to craft a festive beverage. 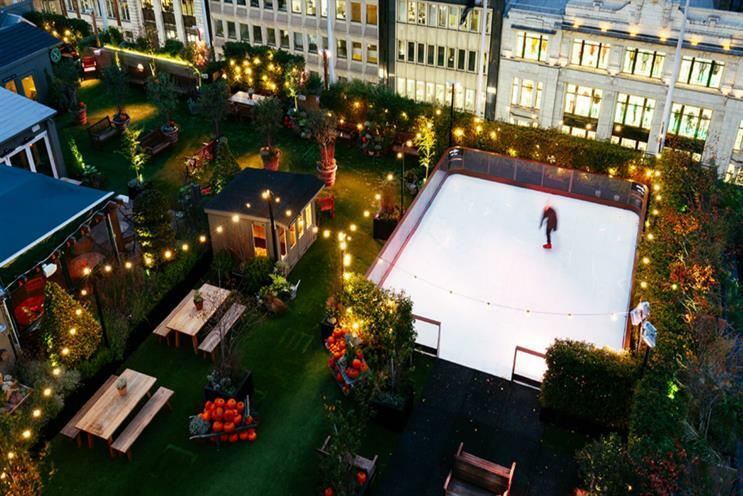 John Lewis' "Gardening Society" rooftop has unveiled a winter hideaway with premium gin brand Sipsmith. "Skyline Skating" is a recreation of London’s historical frost fairs, when people skated on the frozen-over Thames during the 17th Century. Alongside skating, visitors can enjoy a selection of pies from MyPie and choose from a number of Sipsmith classic gin and hot gin cocktails. Sipsmith will be hosting weekly masterclasses focusing on the history of gin in London, alongside a tutored tasting of the brand's gin range, while visitors can learn how to craft a festive gin cocktail. The roof garden opened on 20 October and runs until 6 January.